ZScaler has announced that it will be releasing a free new tool that counters the high profile Firesheep Firefox extension that hit the press over the way it can steal login information and take over user accounts. The Firesheep login became big news when it was released, with the man responsible claiming it was created to show how easy it was to steal passwords. ZScaler has stated that it will release BlackSheep on Monday – which will serve as a counter-measure to Firesheep. "As you're aware, Firesheep is the Firefox extension that makes it easier to steal logins and take over social media and email accounts (Gmail, Facebook, Twitter, etc.) after users log in from a WiFi hotspot or even their own unprotected network," explained ZScaler. "Developers say they were simply hoping to shed light on the problem of not using SSL encryption for user sessions. But the temptation for people to use it for nefarious purposes is too great. 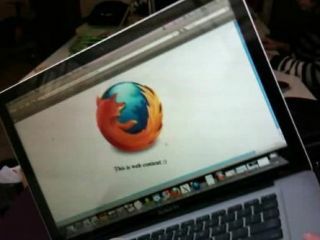 "Zscaler researchers have created, and are now offering to every consumer, a free Firefox plugin called BlackSheep, which serves as a counter-measure. "BlackSheep combats Firesheep by monitoring traffic and then alerting users if Firesheep is being used on the network."